If you're looking for a best delicious food blog theme that takes your branding to a whole new level, give your content more eyeballs and bring more sales, Cook'd pro is your thing. 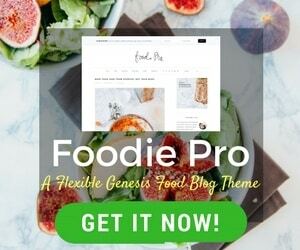 With the recent success of Foodie pro (their top selling WordPress theme for food blogs), StudioPress Sites have launched another spectacular food blog theme for Genesis users. Cook’d pro genesis child theme has taken the food blogging industry by a storm and is selling like hot cakes, thanks to the spectacular features introduced by Shay Bocks. In this Cook’d pro theme review, I’ll introduce you to the best ever food blog theme. Take a look at how it can take the panache of your savory dishes into a whole new level. Why Cook’d pro genesis child theme is the new talk of the food town? As I said, Shay Bocks is a genesis theme expert and has created several beautiful themes for food and restaurant bloggers. 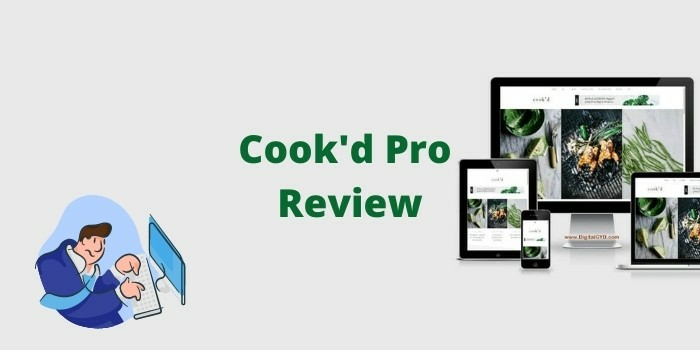 However, with her success with the foodie pro theme (check out my hands-on review of Foodie pro genesis theme) she was inspired to launch her next premium theme for food blogs, the cook’d pro. Genesis is actually the brain-child of CopyBlogger media and they are the authority in the business. The light-weight and premium feel of genesis themes makes it the favorite of many reputed food blogs like www.PinchOfYum.com. 7) Food blog theme with Woocommerce integration: Cook’d pro theme is woo-commerce integrated so that you can sell your own food products, courses or even affiliate products right on your blog. Cook’d pro is the latest food and kitchen theme from Feast Design Co., the makers of foodie pro and brunch pro which are known for their best food blog website design. You can not only use it out of the box on your food blog but also on any blog related to recipes like bakery blog templates no matter you have a healthy vegetarian food blog or creative cookery blog. Cook’d pro is fully flexible and feature-rich theme. Genesis framework is the largest selling theme shop in the world. Most authority site you’ll ever find are using themes powered by genesis or StudioPress (the company name). Almost a majority of the themes listed in our ever-updated Best WordPress Blog Themes listicle use the genesis framework. Themes powered by genesis framework are very cleanly coded and they are lightning fast. Google favors sites with good loading time and thus it will help your SEO. Also, in a research, we find that 47% of the site visitors expect your sight to load within 2 seconds and 40% of them abandon your site forever (hey! There are tons of food blogs waiting for them) if it takes more than 3 seconds to load. 2) Genesis enews extended (free): to integrate email newsletter with your favorite email marketing service. You can read my GetResponse review to see how you can save money on email marketing and also get a 30 day Free Trial here. 3) Heart this (free): to give rating and heart vote system by visitors on their liked recipes or posts on your blog. Or I’d suggest to go with Bluehost if you cannot afford Flywheel ($15/month). Bluehost will cost you below $4 per month and is also one of the best hosting recommended at that price. The Cook’d pro genesis food blog theme costs only $75 if you already have the genesis framework. The pricing isn’t much if you compare getting a custom designed theme hiring a designer for $800-$1500. The theme isn’t the cheapest either. You can get cheaper themes but that would nowhere come close to the benefits that Cook’d pro will have on your food blog’s SEO and branding. Plus, your blog is your virtual office, so make sure it is branded and conversion-optimized. This is the best investment you can make to grow your blog. That’s a super cool theme! Please contact me on this page https://www.digitalgyd.com/contact-me/ to see how I can help you! We have seen lots of premium WordPress food blogging themes on different template stores. But this theme is appreciable and great for food bloggers and authors who wants to share recipes. This theme developed on powerful genesis framework platform where we are going to lots of built-in features. Not only that, we can also take benefit of custom widgets, page templates, layout options and more. Its features are incredible such as – Widgetized home page for a flexible layout, Flexible grid archive options in CustomizerStyled share buttons, subscribe widget, contact form, and comment form. Nice theme. Gonna give it a try. I use SendPulse email marketing service on my blog and have their subscription forms integrated into popups so I wonder how it will work out. I wish I were a food blogger – I’d certainly have gone in for this wonderful theme! It covers up everything any food blogger would wish for on his site, and I think the cost is pretty good for the numerous features given in it as well. Not to mention that Genesis is one of the best ones going, it surely is something to consider. Loved the layout of your blog as well – looks great indeed!